Great sled, stored indoors. Was my wifes sled that she mainly used to pull kids around the yard on a sled. 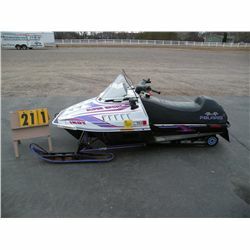 The picture is not of the actual sled but one just like it. It is in excellent condition.